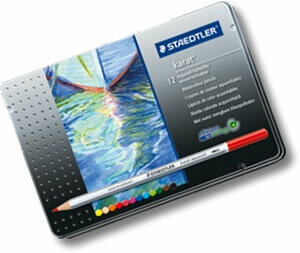 Staedtler Karat Aquarell are artist's quality watercolour pencils with an excellent blending quality. 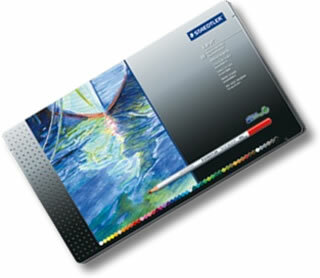 With a smooth, colour rich laydown they can be used to create many different effects using various techniques. 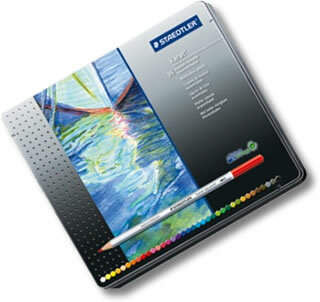 They have the usual Staedtler break resistant leads and sharpen well to beautiful points for finer work. 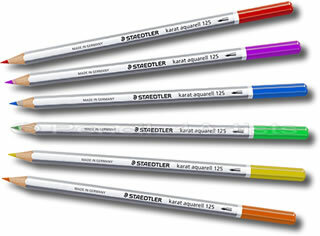 The full range of Staedtler Karat Aquarell watercolour pencils available individually. 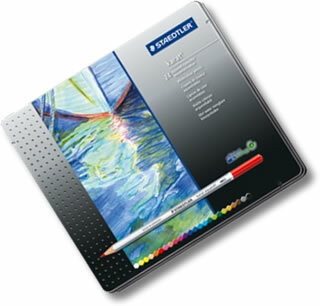 the full range of Staedtler Karat Aquarell in one beautiful tin. Staedtler Karat Aquarelle are a high quality water colour pencil with a break resistant lead and excellent blending quality.